Last summer I went off to part one of my scheduled yearly Medicare Wellness Visit the same morning I had an unscheduled visit to the dentist for an unexpected root canal. At the Primary Care Practice where I go, my physician divides the visit into two parts. The first part was with a physician’s assistant or nurse, which I am not sure, and the second part was with my doctor — an individual who I greatly admire — but scheduled almost two months later. I should have figured out a bit about what would happen at the first of those two appointments, but I did no research. The welcome visit documents for physicians and those for Medicare beneficiaries are easily accessible, clear about what is going to happen, and posted front and center on the Medicare website. Thus I breezed cluelessly into the office chatting about my unexpected root canal and only fleetingly thinking that perhaps I should have rescheduled the wellness visit. So when the medical assistant (the PA wasn’t even in there yet) asked me, with no explanation, to repeat three words, I did so, and then went right on talking about my root canal and rubbing my aching cheek. Then she asked me to draw a clock which I did, and slowly it dawned on me what was happening. I drew the clock while trying to think of the three words, but I could only think of one word. And, of course, she asked me what the three words were, and I remembered one. I was devastated, and yes, even a bit angry. What was wrong with my memory? Was I on the precipice of some type of dementia? Shouldn’t a person know going in that the visit included a memory test? When I chatted about my root canal — and my jaw was still filled with Novocaine — shouldn’t someone have suggested, since a memory test was going to be given, that perhaps I should reschedule the visit? For weeks I worried about my memory, and I did not completely stop worrying until I saw my primary care physician — two months later. I am not usually an inveterate worrier, but with two parents, both in their 90s and both with memory challenges, it was a scary medical appointment. I could not let go of the thought that I had not remembered two out of three words. 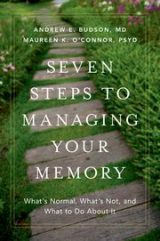 To learn a lot more about memory and memory decline, I’m reading a new book, posted here on the blog. In Seven Steps to Managing Your Memory. Andrew Budson, MD and Maureen O’Connor, PsyD, address memory challenges, suggesting ways we can learn a lot more about what’s normal and what’s not. I heard Dr. Budson speak this past week and found his comments useful as I gaze through the prism of my parents’ memory challenges. 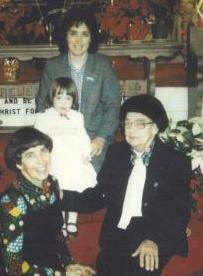 Dr. Budson’s comments also helped me reconsider the experience at my Medicare appointment. I’ll report more about the book in a later post. Still, I’d like to learn more about the protocol for giving these memory tests.